It's been about six months since we last checked in on Michael Bailey, a long-time, cutting-edge programmer and Search and Rescue (SAR) Reserve Deputy Sheriff in Southern, California. In that time, Mike has been hard at work on his free SAR mission management software called, oddly enough, Mission Manager. His efforts have come a long, long way. So much so, you might find yourself asking - Why is he giving this away for FREE? Customizable fields for your type of team - SAR, FD, USAR, MFF, SED, PD, etc. 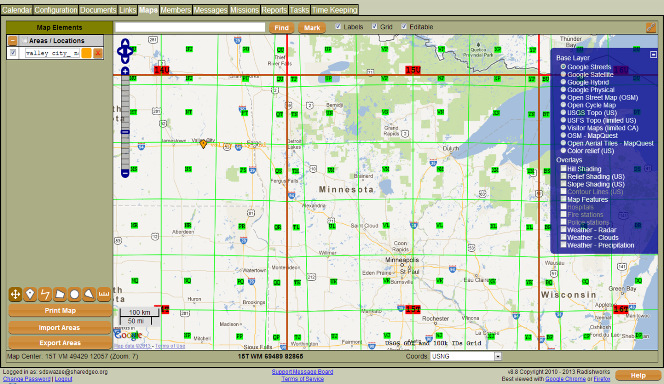 Comment: Mission Manager includes a very nice integration of the U.S. National Grid (USNG) in the program's map viewer. Given this software supports the SAR mission, and the National Search and Rescue Committee has designated USNG as the coordinate system to be used for all land based SAR efforts, this feature makes an already great program, truly top notch! I am a training officer on a backcountry rescue team and just heard about this software. Everything I heard was that it was great, except that it is no longer free. They are now charging an annual fee for using it. Even with the grant opportunity to cover 50% of the fee it is a lot more than we can justify for the couple dozen calls we get each year.